Corporate Governance and Compliance in Hong Kong, provides an excellent foundation for the reader to explore and form their views on the important aspects of corporate governance and compliance. "Starting with a historical approach the author has traversed the intricacies of current laws and regulations and looked at the major issues surrounding corporate behavior. Some of what can be considered to be current ills may be cured and some may not. I commend this book to anyone who has dealing in corporate affairs. 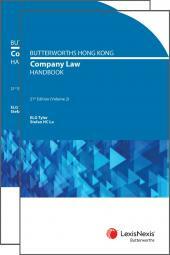 It will be informative and the definitive work on corporate governance in Hong Kong." While there is no universally agreed definition of 'corporate governance' this book provides an excellent foundation for the reader to explore and form their views on the important aspects of corporate governance and compliance. 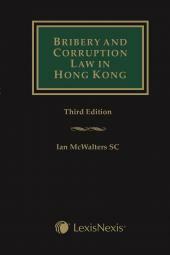 Corporate Governance and Compliance in Hong Kong - Second Edition is the definitive work for legal advisors, compliance officers, judges, regulators, government officials, company directors, business people, managers, stakeholders, academics and all other professionals who wish to know and understand the intricacies of Hong Kong's law relating to corporate governance. 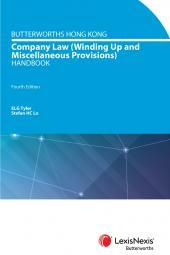 The second edition of this definitive work will be available later this year and will be fully updated to reflect the new Companies Ordinance (Cap 622). The Ordinance represents a major rewrite of Cap 32 with one of the main aims to enhance corporate governance. Joined the Administrative Grade of the Hong Kong Government in October 1973, and served in a large number of branches in the Government Secretariat, including the Finance and Transport Branches, and departments such as the then Cultural Services Department and the City and New Territories Administration, where he was the District Officer for the Kowloon City District. On 1 May 1993, he was appointed the Registrar of Companies for Hong Kong. During his time as the head of the Companies Registry, he played a key role in the modernisation and computerisation of the department's operations, and company law and corporate governance reform, including initiating the rewrite of the Companies Ordinance. He is currently involved in a number of pro-bono activities including the Hong Kong Institute of Certified Public Accountants, where he chairs the Regulatory Accountability Board. He is an Honorary Fellow of Lingnan University, the Hong Kong Institute of Directors and Hong Kong Securities Institute and a Fellow of the Institute of Chartered Secretaries and Administrators and the Hong Kong Institute of Chartered Secretaries.